An elegant pair of bronze leaf earrings with sterling silver hook fittings. 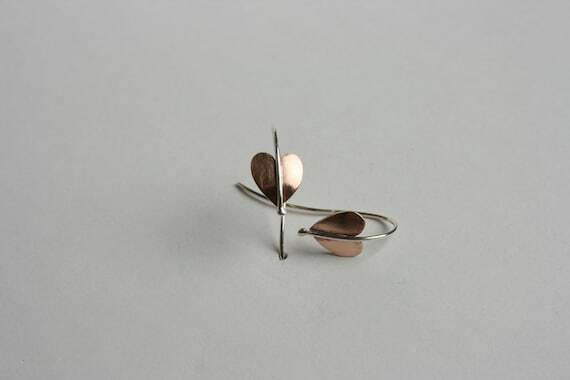 The leaves measure 9mm x 8mm approximately and are secured on sterling silver wire fittings with butterflies. All my jewellery is hand made by me in my own workshop/studio in Porthleven Cornwall. Presented in a pretty box with silk bow.